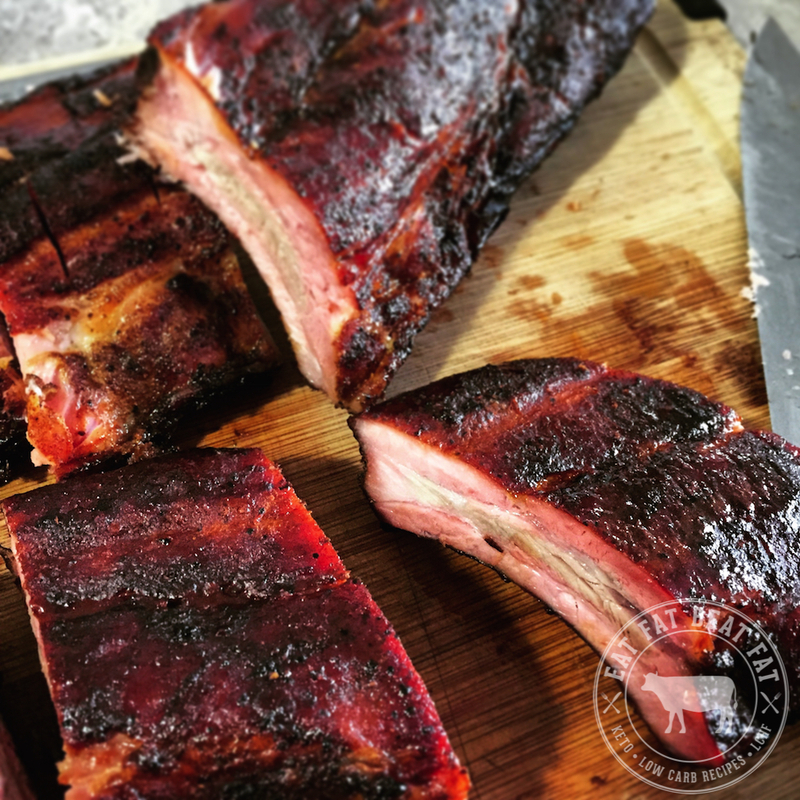 Nothing beats a good old-fashioned summer cookout, and these six hour smoked ribs will take your BBQ game to the next level. Six hours may sound like a big ordeal, but don’t fret, the smoke does most of the heavy lifting. 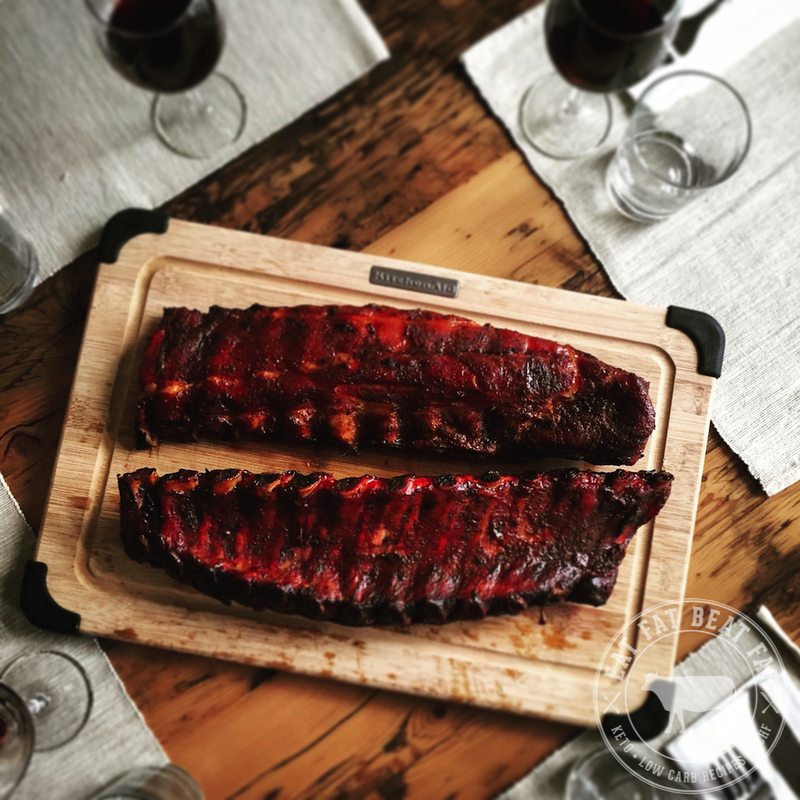 We’ll be doing a dry-rub marinade and using my favourite method for smoking ribs – the 3-2-1. We’re talking 3 hours uncovered, 2 hours in foil, and the final hour basted in your go-to low-sugar BBQ sauce. Pre-mix the spices in a bowl until the ingredients are more or less uniform. 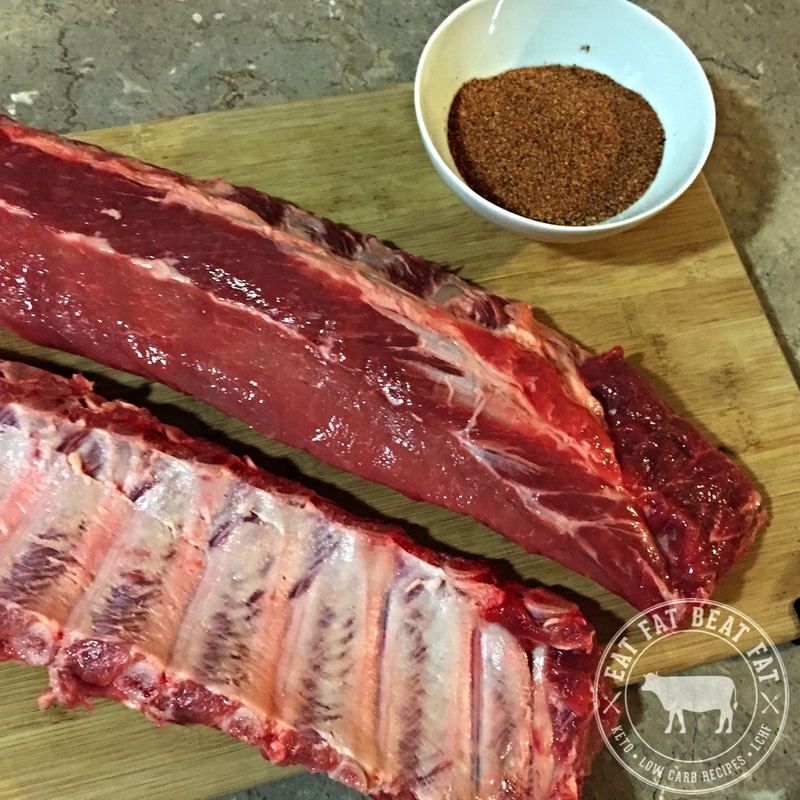 Grab your ribs and make sure the membrane has been removed from the bone side of the rib. Sprinkle the rub generously and massage into the meat until you have nice uniform coverage - note that you don’t have to use up all the rub. Now they need some time to marinate – can be overnight or as little as 1 hour. There are varying schools of thought, but don’t sweat it – let them sit for an hour or two and you’re good to go. 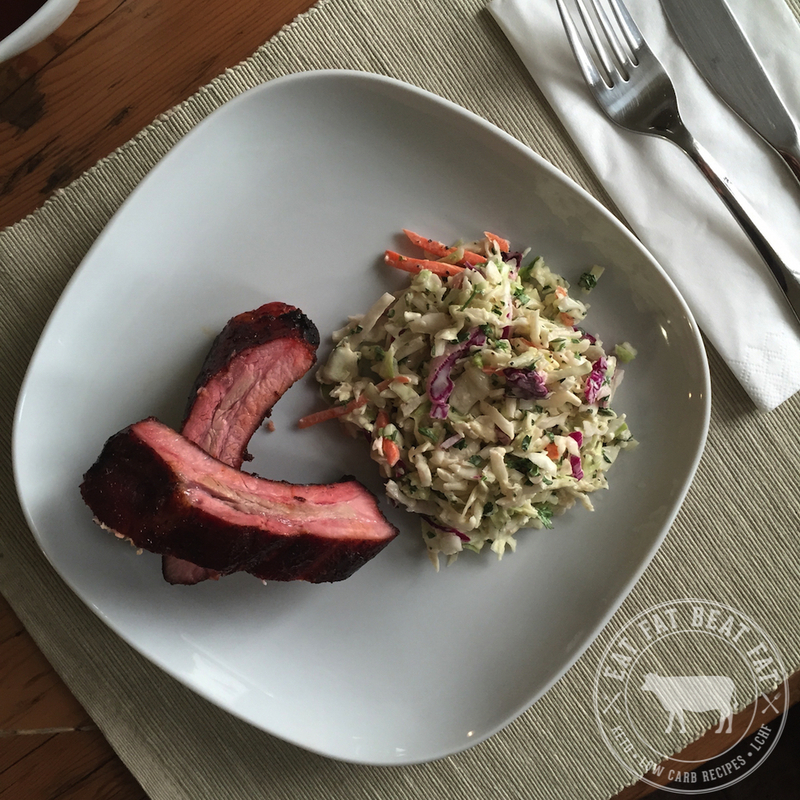 Get your smoker or charcoal BBQ up to a steady temperature of 200-240F, aiming for 220F. If you’re using a classic charcoal grill like me, I suggest using the snake method: stack charcoal briquettes 2x2 about half way around the grill. Add your pre-soaked hickory chips on top, and start the fire with a few hot coals on one end. I find this method does a great job of maintaining the optimal temperature and lasts the required 6 hours without having to add coals. Of course results may vary depending on external environmental factors like outside temp and wind. 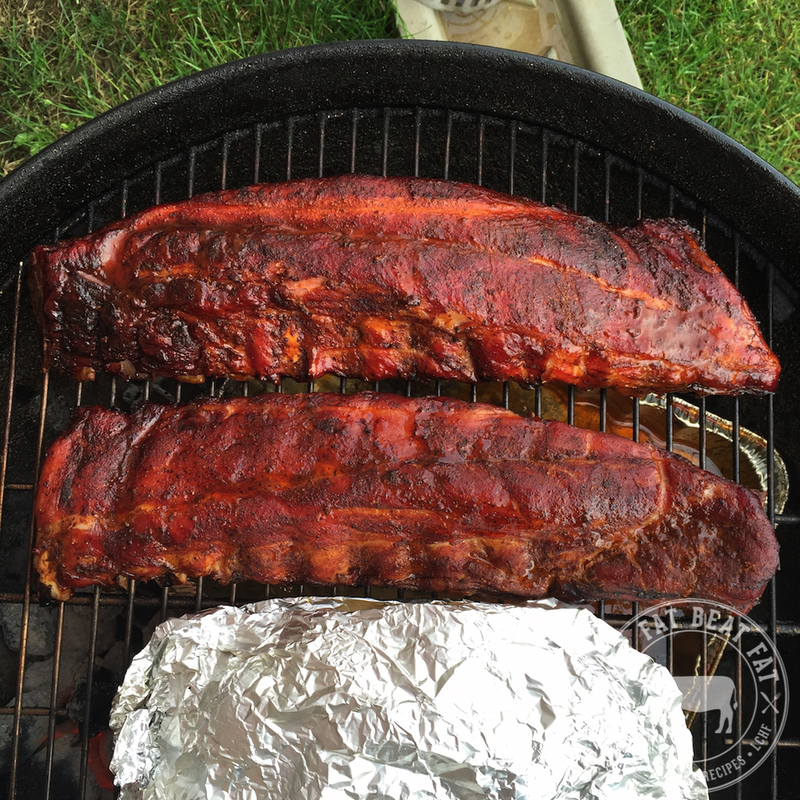 Get those ribs in there and make note of the time, you’ll be back in 3 hours to foil them. In the meantime, be sure to check up every so often that you’re maintaining optimal temp range. Use the grill’s vents to control or add coals as required. 3 hours in, remove the ribs and wrap them tighly in cooking foil. They can be done individually or together, whatever works. Pop them back in the grill/smoker for another two hours. Now for the home stretch, after two hours in foil, remove them from the foil and get them back on the grill. 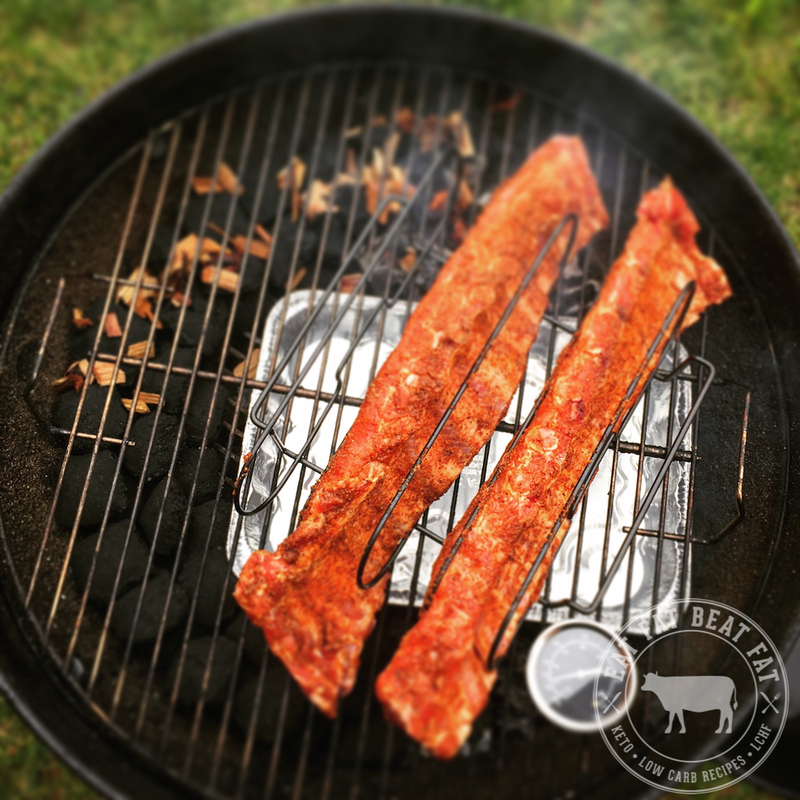 Brush these bad boys with your choice of BBQ sauce (try our very own keto bbq sauce) every 20 minutes or so for the next hour! And there you have it, easy as 3-2-1.